We're reviewing every facet of our MD program. 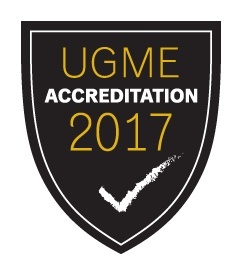 Find out what's involved in accreditation and how we're preparing for it. Study under world-renowned faculty who deliver the most up-to-date medical school curriculum in Canada. Feel confident. Dalhousie Medical School grads consistently perform in the top 25 per cent of the Medical Council of Canada licensing exams. Meet real patients in your first week of medical school; early exposure to the clinical environment is something Dalhousie is known for. Explore the ins and outs of medical practice in small, rural clinics and in tertiary-care hospitals across the Maritimes. Check out Dalhousie Medical School and our affiliated teaching hospitals through a visiting elective experience in Maritime Canada. Have a life beyond the books. Dalhousie Medical School's internationally recognized humanities program offers opportunities to balance the arts and sciences. Study the most up-to-date curriculum in Canada. Find out about our core units for each year. Want to do an elective at Dalhousie Medical School? Learn about our visiting student opportunities.